Bored with your daily life?? 9GAG just released it’s an official Android app on play store. 9GAG is the platform where people share their meme. You can also share and get real responses from people all over the world. 9GAG features best collection of Rage comics, memes, fail image, cute pets video, Demotivational pictures etc. Every day thousands of people share their meme on 9GAG and you can upvote/downvote or comment on any meme. 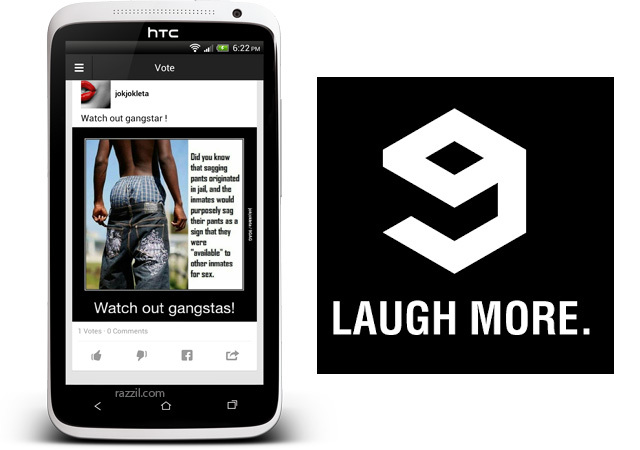 9GAG for Android allow users to share pics with Facebook, twitter or email. The app is neat and using Sliding Menu as a navigation. You can Browse and vote picture on Hot, Trending and Vote section. The app is available freely on Play store and it requires Android 2.3.3 and up. Download the app from below widget.